O: oat sprigs with ISRAEL in Hebrew above and Arabic below. R: 250 Prutah (with frozen date) 5709 within wreath. Two varieties exist in CuNi, one with the pearl and one without. 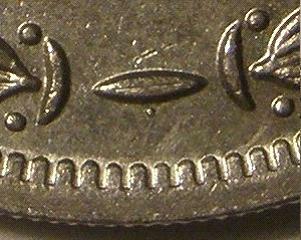 The pearl appears under the bar connecting the wreath on the reverse. The variety with the pearl appears to be the more valuable example despite the lower mintage of the variety without the pearl. 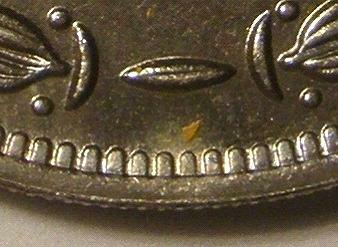 There is an example that was not placed in circulation that was 50% silver KM #15a with a mintage of 44,000, though still averaging a lower catalogue value than the CuNi pearl variety.